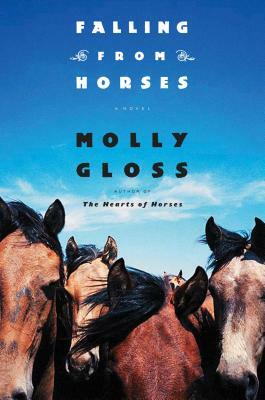 In a new novel from the best-selling author of The Hearts of Horses and The Jump-Off Creek, a young ranch hand escapes a family tragedy and travels to Hollywood to become a stunt rider. In 1938, nineteen-year-old ranch hand Bud Frazer sets out for Hollywood. His little sister has been gone a couple of years now, his parents are finding ranch work and comfort for their loss where they can, but for Bud, Echol Creek, where he grew up and first learned to ride, is a place he can no longer call home. So he sets his sights on becoming a stunt rider in the movies — and rubbing shoulders with the great screen cowboys of his youth. On the long bus ride south, Bud meets a young woman who also harbors dreams of making it in the movies, though not as a starlet but as a writer, a real writer. Lily Shaw is bold and outspoken, confident in ways out of proportion with her small frame and bookish looks. But the two strike up an unlikely kinship that will carry them through their tumultuous days in Hollywood — and, as it happens, for the rest of their lives. "Hollywood glamour has no place in the rough-and-tumble cowboy movies being churned out by studios in the late 1930s. That’s discovered by Bud Frazer, a young man from a ranching family looking to make his way as a stunt rider and, in the process, distance himself from personal tragedy. On the bus ride there, he strikes up what would become a lifelong friendship with an aspiring screenwriter. What follows are challenges for both Bud and his new friend Lily as they try to make their dreams reality. Gloss strips away any romantic notions of ranching life or moviemaking with detailed descriptions of long days of work and the tricks used on horses in the cowboy flicks. Bud is a marvelous narrator—direct, self-effacing, and descriptive, looking back with some bemusement at the brashness of his 19-year-old self. The emotions stirred by his tale are as honest as a hard day’s work during a roundup. The novel is sturdy in its simplicity, a send-up of the cowboy myth that replaces it with something more valuable—a cowboy with heart." "I read Falling from Horses in two gulps. The writing is gorgeous, the setting so beautifully realized, both time and place, the narrative voice unforgettable, and all the characters so real and compelling. Tremendous, page-turning....I could not have loved it more." "Falling From Horses is a clear-eyed, breathtaking look at a small corner of life unknown to most: cowboy stunt riders in 1930's Hollywood. Gloss adeptly brings to life characters in search of the American Dream, while illuminating the "myth of the cowboy West" and the harsh realities that come along with it. A moving story filled with heart and insight by an author whose love of the American landscape rings loudly through each page."